On the 14th (Sun), pause for some serene contemplation at Rovaniemi Church, then get engrossed in the history at Arktikum, and then see exotic creatures in open habitats at a safari tour. On the 15th (Mon), you'll have a packed day of sightseeing: browse the different shops at Arctic Circle Mall, stop by LAURI, then Head underground at Syvasenvaara Fell, then see Santa Claus Office, and finally get in on the family fun at Santa Claus Village. 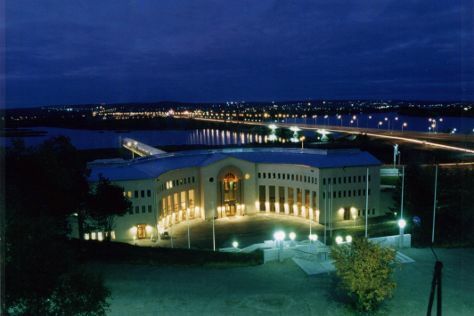 To find photos, reviews, where to stay, and tourist information, you can read our Rovaniemi online itinerary planner . April in Rovaniemi sees daily highs of 38°F and lows of 26°F at night. Wrap up your sightseeing on the 15th (Mon) early enough to travel back home.